Micronic Calculation is the second album from Turkish artist Limiti, following closely on the release of Information Is Creation. Here the artist opens up with a galactic approach, diving deep into the core of restoration. “Mind is lost without the heart. Heart is dull without the mind. Restoring the link between mind and heart, feminine and masculine, love and creation, frequency and perspective, knowingness and intelligence. Calculations made and there is no chance of miss.” Mastered by Jack Braglia @ Vital Mastering with artwork by Shiva Om. MP3 Download | FLAC Download | WAV Download · Download count: 8,053. Very nice. Pleasant melody. Nice tunes. Very engaging. I LIKE YOUR TRANCE MUSIC WEB SITE. special! very interesting melodies ! Why is this rated so low? Easily one of the most interesting Goa releases I’ve heard in a while. I love the wide range of tempos! This is awesome! Why is this rated so low!? What the hell!? One of the best releases I’ve listened to in a while; so what about the mastering! I was expecting a real failure when I first heard this and at the end of it I really can’t understand why this release is rated so low. At least you people could say why you rated it so low here in the comments. I found this very fresh and one of my favourite goa releases in a while. 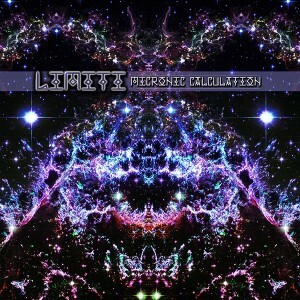 Second album from Turkish artist Limiti, following closely on the release of Information Is Creation. Micronic Calculation is space goa trance all the way, and this nice artwork suggests so! 1. Always (9:13) is a slow track that sounds like a mix of progressive and goa trance. Brilliant intro, groovy bassline. I love the fact that the music is allowed to breathe, not too many layers at the same time. Many melodies to open this album. 7:45 nice change of direction to finish in beautiful fashion. Top notch track I think one of the best I have heard from last year. 2. Alpha Centaurian Ways (9:12) will rise a few eyebrows. At 143 BPM we get more power and the atmosphere is weird with some melodies sounding out of tune. Probably deliberately…make your own opinion. It is for sure different and again very melodic, even though the direction is not clear at all. Surprising to say the least. 3. Starplan: Ascension Of Galaxies (7:25) is on the experimental side bringing a few vocals to the table. The trance is slow (115 BPM) and somehow sounds melancholic, emotional, some synths are really beautiful. Not sure why but I think of Infected Mushroom by the way this track is built, the key changes at the end create something pretty unique. Lovely track. 4. Love Is A Frequency (9:07) is again kind of experimental, this time at much higher speed. Rolling bassline with fast psychedelic sounds all over the place, like a flying saucer travelling at the speed of light. Big thumbs up for the psychedelic part between 4:30 and 5:15. New direction taken at 5:30, even though it does sound amateur with melodies completely unrelated to each other, this freshness has its charm and makes you smile! 5. Infinitum Aeternus (vs Sourcerer) (8:24) gets aggressive from the very beginning. Same recipe as the previous track but at 160 BPM, the track really goes anywhere and everywhere though, with not so convincing elements. Not my style and too fast for me. 6. Morphodimensional (vs Yesil) (9:06) has a nice melodic intro but the rest of the first half fails to create anything special (with IMO a useless triplet part at 4:00). But past the 5th minute mark it gets much better. Expect some unpredictable synths with fresh goa melodies (some of them are a bit Chi-A.D. like), loving the part at 7:15. Definitely a cool track to end the journey. Nothing to lose here as it is a free release, and it was certainly worth a check. Listening to this album was overall a pleasant experience even though it does sound amateur at times, there is room for improvement but you gotta like the enthusiasm. Track #1 is incredibly refreshing, track #3 is definitely something special, other tracks have nice moments especially tracks #4 and #6. Vital Mastering did a good job too.